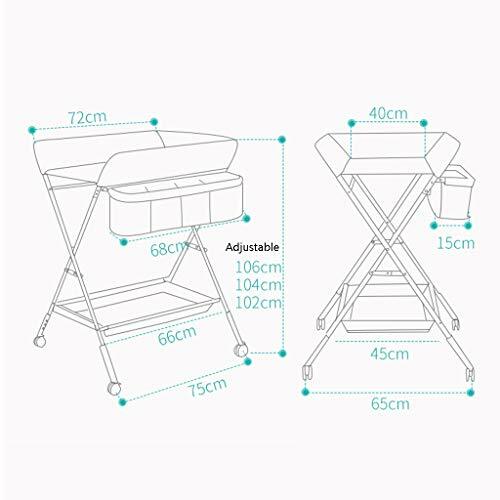 【Stable Construction】Sturdy metal frame keep the table stable. 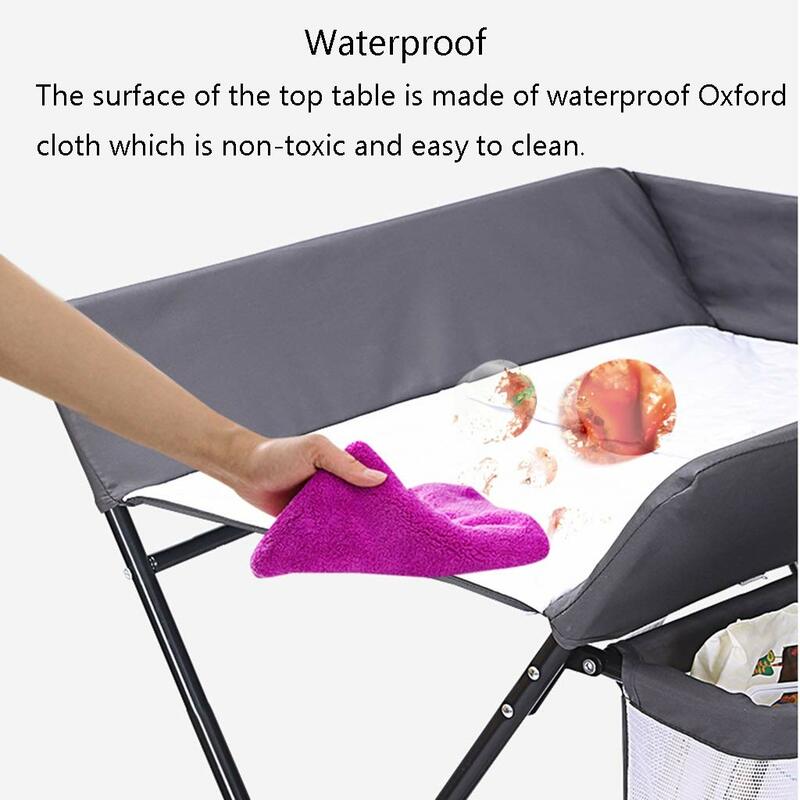 While the other part is made of durable and wearable oxford cloth. 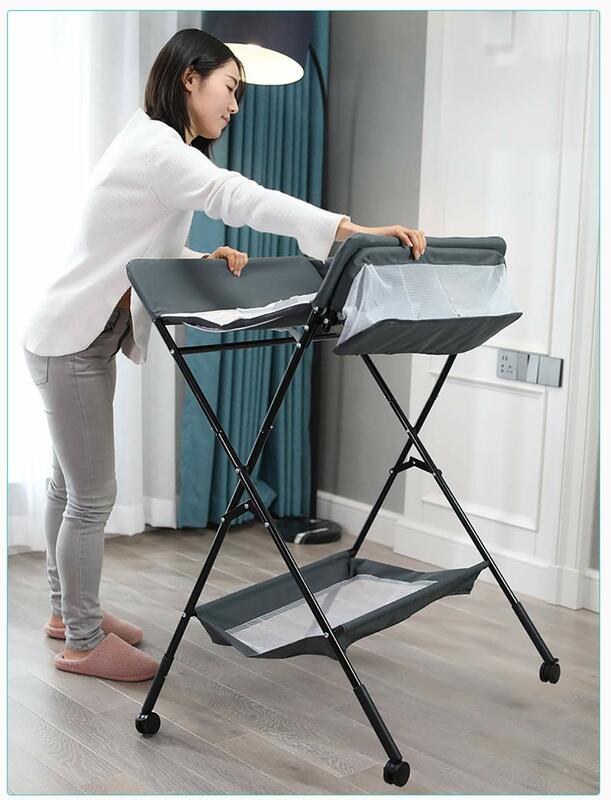 【Foldable】Easily fold it if you finish all the tasks! 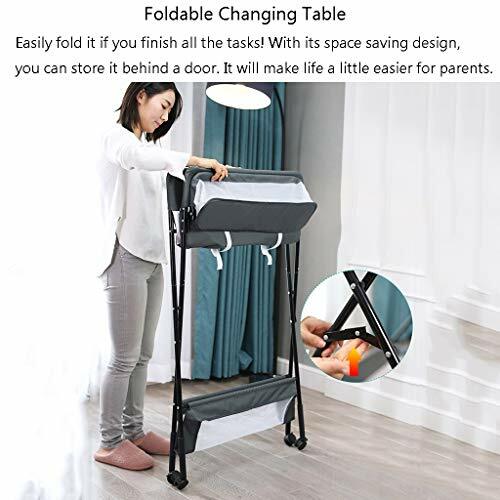 With its space saving design, you can store it behind a door. 【Large Storage Space】Equipped with 3 compartments aside the table, you can place soaps, towels and any other accessories conveniently. 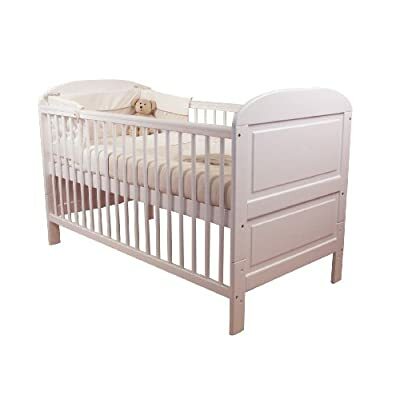 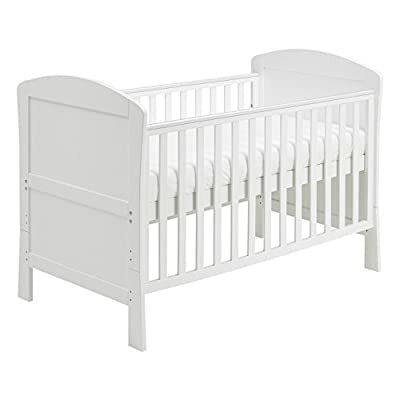 This baby changing table can be used as baby massaging table as well. 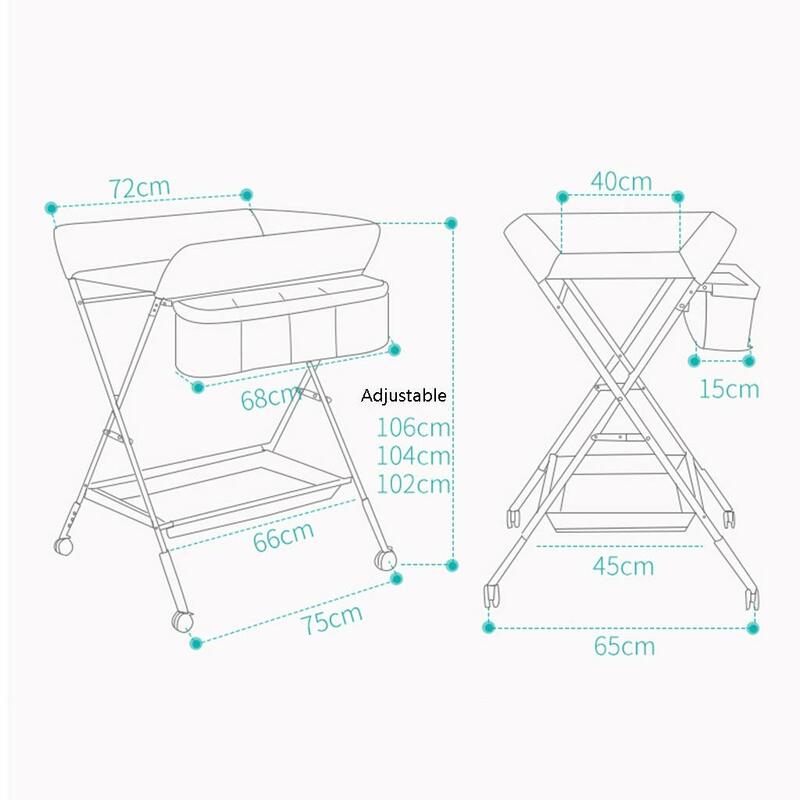 It offers the comfort and practicality of an elevated changing and massaging station. 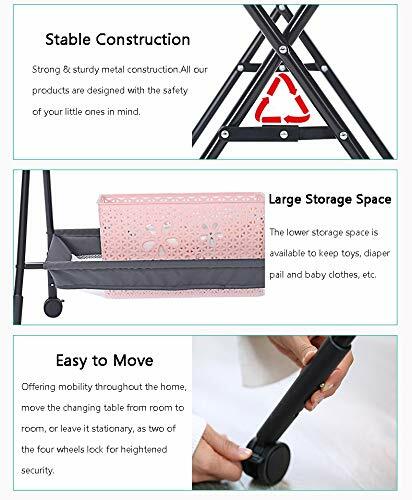 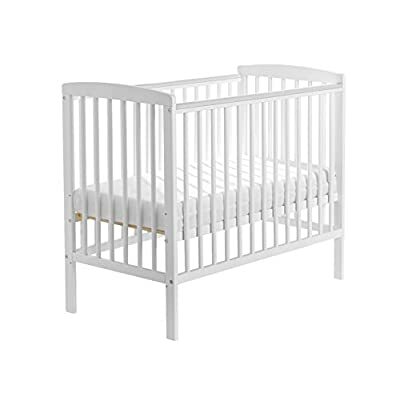 It is designed at the proper height of parent to prevent mom’s back aches and pains from kneeling or bending when changing diapers to babies. 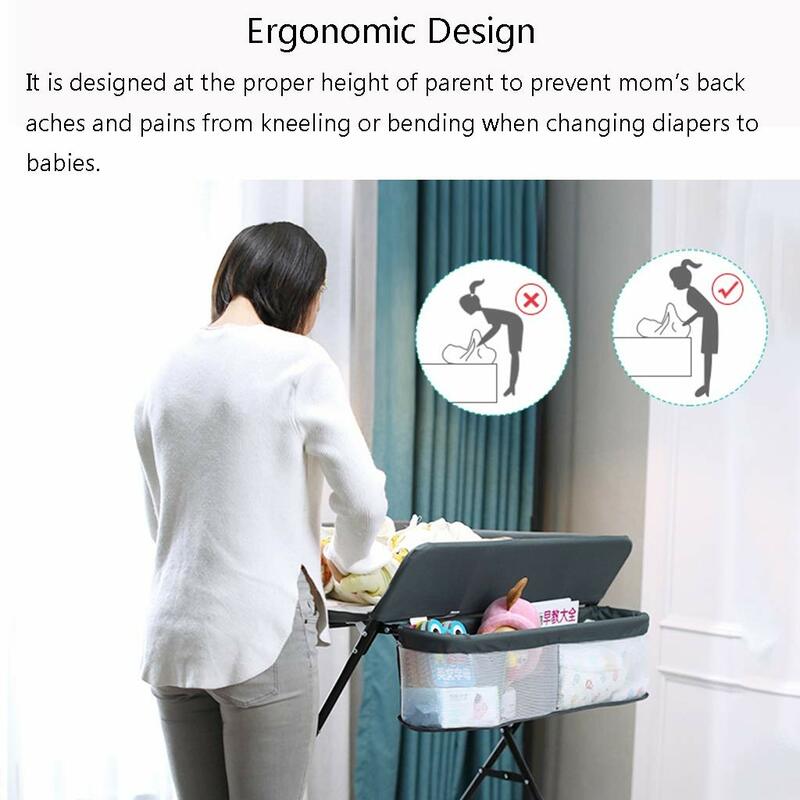 No more bending to bathe baby in the tube. 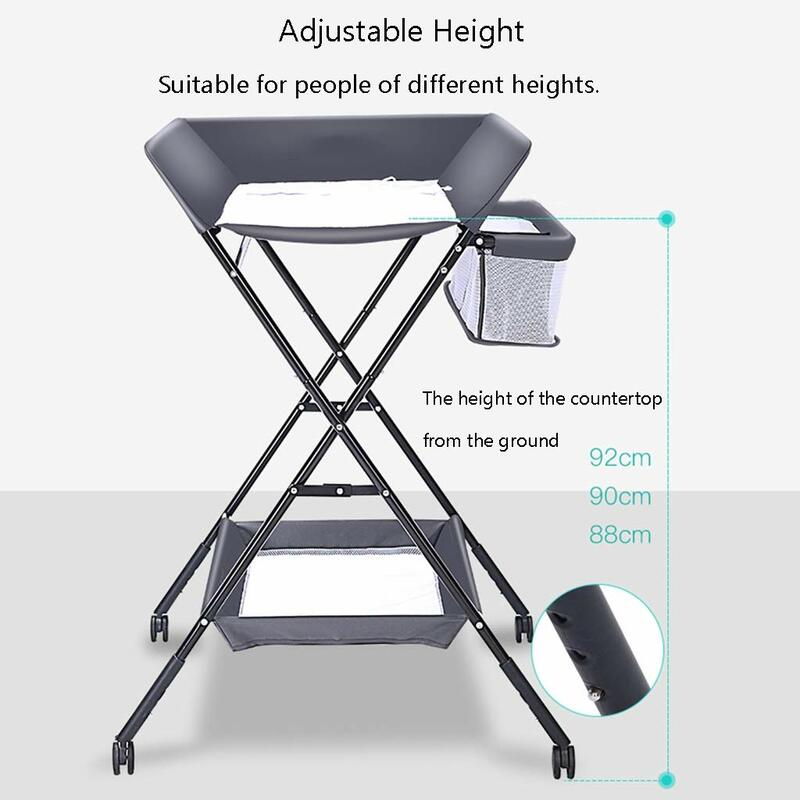 In order to increase its stability, the table is constructed by thick metal. 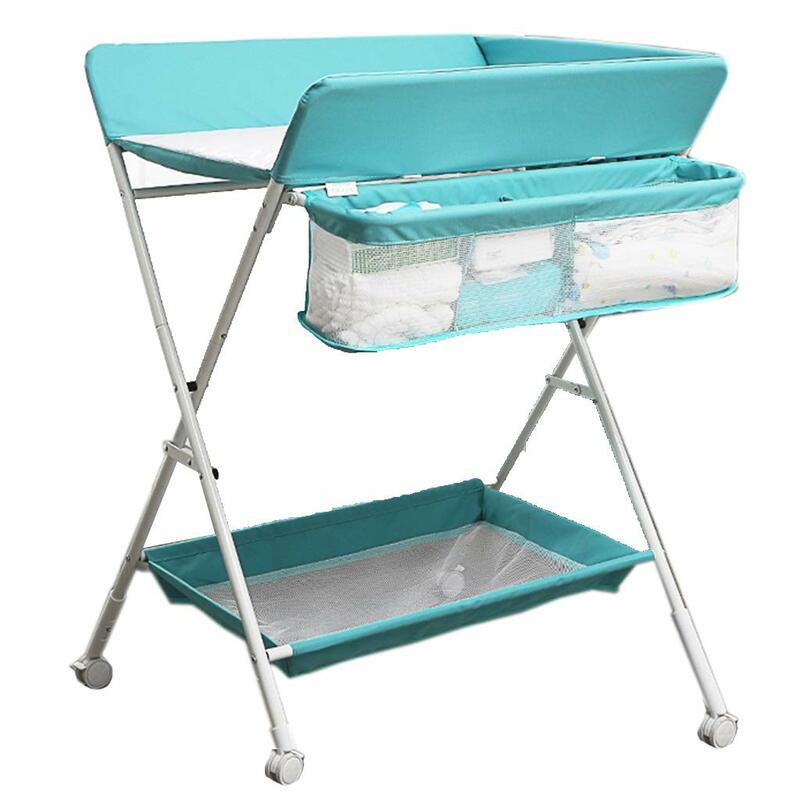 It offers the comfort and practicality of an elevated bathing and changing station. 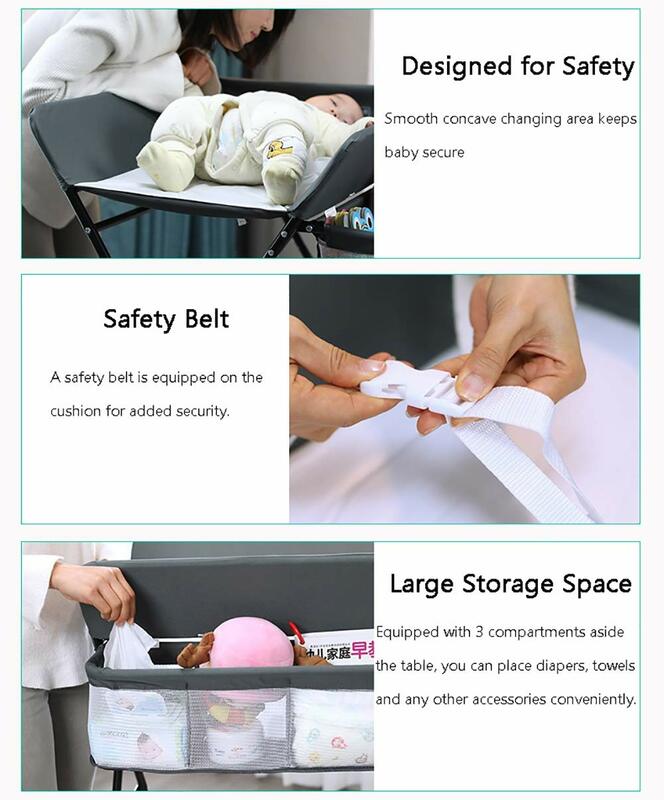 【Safe and Reliable】Smooth, comfortable concave changing area has a nylon child safety strap with a side release.